Disclaimer: Images on this page are not owned by titheenvelope and are used solely as design examples. Please use the links at the bottom of the images to see their original sources. Envelopes are flat packaging materials that are used for mailing cards or letters. Traditional envelopes are created from pre-cut paper sheets and are cut to one of three shapes – a rhombus, a short arm cross, or a kite. 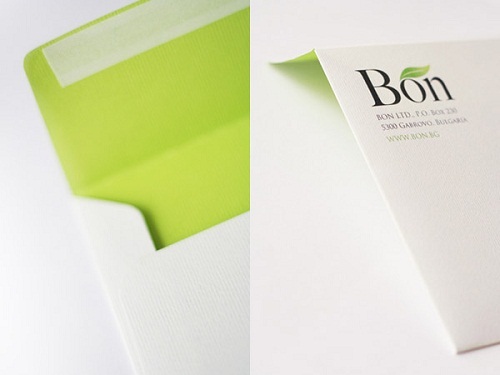 The envelope is made by folding the flaps of the pre-cut paper to form a rectangle-faced pocket. The top flap acts as the cover and it’s where seals are placed to enclose the package. A-2 – This envelope is commonly used for sending a note card or an RSVP postcard. Its size is 4.375” x 5.75" and uses a square flap for its cover. A-6 – This envelope is normally used for sending formal invitations. We see this in wedding and anniversary invitations. An A-6 envelope’s size is 4.75” x 6.5" and uses a similar square flap cover like the A-2 envelope. A-7 – This envelope is popularly used for greeting cards. With its size, it can easily complement standard postcards. A-7 size is 5.25” x 7.25" and can be used with either pointed or square flaps. A-9 – This envelope is used for sending invitations, greeting cards, and handcrafted postcards. Its size is 5.75” x 8.75" and can also be used with pointed or square cover flaps. #10 – This envelope has two types– window and no window. This type of envelope is commonly used in business transactions or professional inquiries. The windowed envelope is a conventional envelope without having to print the recipient’s address on the envelope. A #10 envelope’s size is 4.125” x 9.5" and it uses a pointed cover flap. 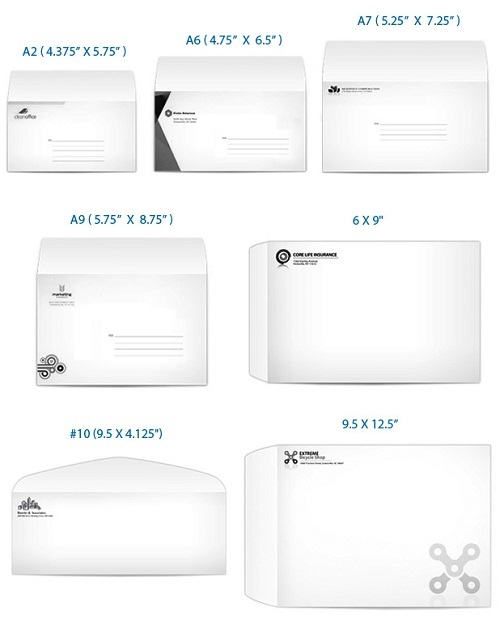 6” x 9” and 9.5” x 12.5” – These envelopes are also called catalog envelopes. These types of envelopes are used to send flat, bulky materials like paper files, I.D. cards, and other small items. Its flap is placed on the short side to help keep the files from falling out. Envelope seals are used to help protect documents from tampering while it’s being mailed or transferred. Depending on how important or the conditions the file will under go, i.e., long distance mail, expedited mail, etc., certain seals are used. Gummed – The most common sealing method for envelopes. It uses a water-soluble and biodegradable seal that is made of synthetic resin. Once moistened, the gummed seal located on the cover flap activates its adhesive properties and allows you to close the envelope. Peel and Seal – Uses a sticker-like strip to protect the latex adhesive. Once the strip is peeled off, the adhesive underneath it can be used to seal the envelope. Clasp – Are commonly used in catalog and booklet envelopes. The clasp is either a metal or plastic fastener attached on the envelope’s back that helps seal or reseal the cover flap of the catalog envelope. String and Button – Uses a metal or paper button placed on the outside of the cover flap and the envelope’s back just below the cover flap. It uses a string that’s attached on the cover flap button and is alternately laced around each button to seal the envelope. Always take note of what you’re going to send when choosing an envelope and seal. You can use this guide as a basis when selecting the best envelope priting for your business or event. Also, take note of USPS standards in mailing letters as they only accept envelopes between 3.5” x 5” x 0.007” thick and 6.125” x 11.5” x .25” thick for their regular letter mailing price. Copyright © 2019 TitheEnvelope.com. A Division of Alpha Press.